SparkleTeam utilizes the latest and most innovative green products, sustainable practices, technologically advanced systems, along with unmatched quality management and customer service. Wouldn’t you want to expand your business with a supportive team that provides unprecedented support, experience and knowledge? Contact us today to learn more! What is the difference between a Unit Franchise and a Master Franchise? A Unit Franchise is an owner/operator who provides cleaning services for commercial accounts; the regional office provides support for the Unit Franchisee by providing customers, Customer Service support, technological support, coordinates training and optional billing/invoicing services. A Master Franchise opportunity is directed at experienced executives and entrepreneurs capable of starting and managing a regional office. The Master Franchise is responsible for a geographical territory to create new commercial account sales, recruitment of Unit Franchisees, Customer Service, Quality Management, Account Invoicing, IT Support, Sales and Marketing. 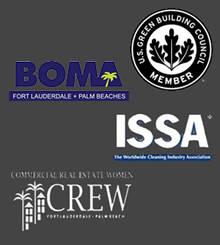 What is LEED-Based Cleaning and Why is it So Important? LEED stands for Leadership in Energy and Environmental Design. This badge of distinction is awarded to buildings that earn ‘points’ or credits towards becoming a green, eco-friendly, energy conscious and healthy commercial building. This includes implementing a mandatory green cleaning policy that requires the use of non-toxic chemicals, higher efficiency tools along with sustainable practices to improve the indoor air quality (IAQ) for occupants, visitors and cleaning personnel. Eliminates the use of harsh or toxic chemicals that can directly affect the health and well-being of cleaning personnel. Industry leading; providing the most technologically advanced products and highly innovative practices to the commercial cleaning industry. Scientifically proven to improve indoor air quality (IAQ) thereby creating a healthier, more enjoyable place to work and visit. The LEED name and certification is admired and respected in the commercial industry as a symbol of green, sustainable and innovation. Therefore, SparkleTeam’s LEED-based cleaning policy also symbolizes industry leading and best in class. Can I Buy a SparkleTeam Franchise Even if I Do Not Own My Own Cleaning Business? Yes! If you own an existing cleaning company, SparkleTeam provides a supportive infrastructure to aid in the expansion of your business. However, if you do not own your own cleaning business, but have some cleaning and business experience, a SparkleTeam Franchise will help you start your successful Franchise with comprehensive support and guidance. What is a Typical Account for a SparkleTeam Franchise? SparkleTeam focuses on servicing buildings/properties more than individual office spaces. Is It Easy to Grow My Current Business? Yes! SparkleTeam Unit Franchises are directed towards current cleaning businesses that are looking to expand. And, if in good standing, Franchisees are eligible to grow even more by obtaining additional accounts from your regional office for an additional fee. Can I Make My Own Hours? Yes! Flexibility is one of the benefits of becoming a SparkleTeam Unit Franchisee. What Kind of Training Does SparkleTeam Provide to Unit Franchisees? SparkleTeam continually reviews application of industry practices and SparkleTeam provides continuing education in order to ensure every Franchise owner is up to date on industry trends and ground breaking innovations. Disclaimer: This document is not a franchise disclosure document. For purposes of evaluating the acquisition of a Master Franchise or Unit Franchise from SparkleTeam, only the authorized and official SparkleTeam Franchise Disclosure Document in compliance with FTC requirements may be relied upon. Information contained herein is subject to change, at any time, and without notice.